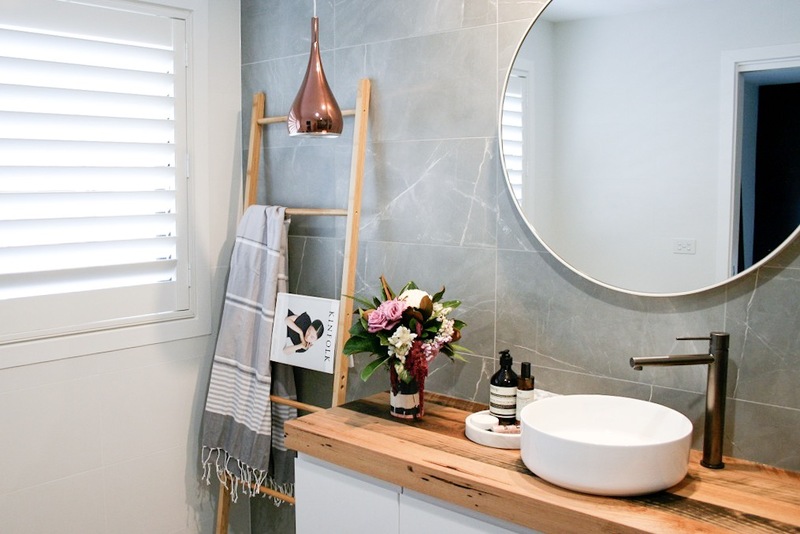 We’re always looking for bathroom inspo and love discovering bathrooms that don’t just use white tiles. 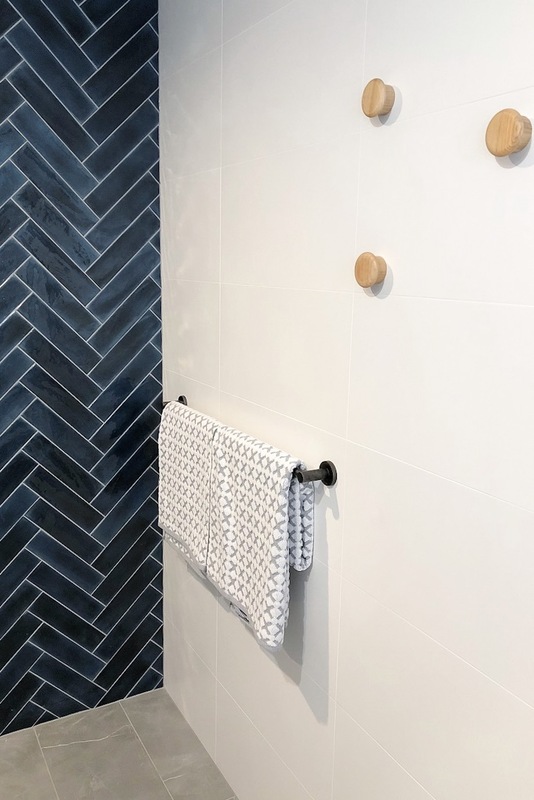 This latest project by Studio Black Interiors totally made us swoon — that navy subway herringbone feature wall is next level gorgeous! 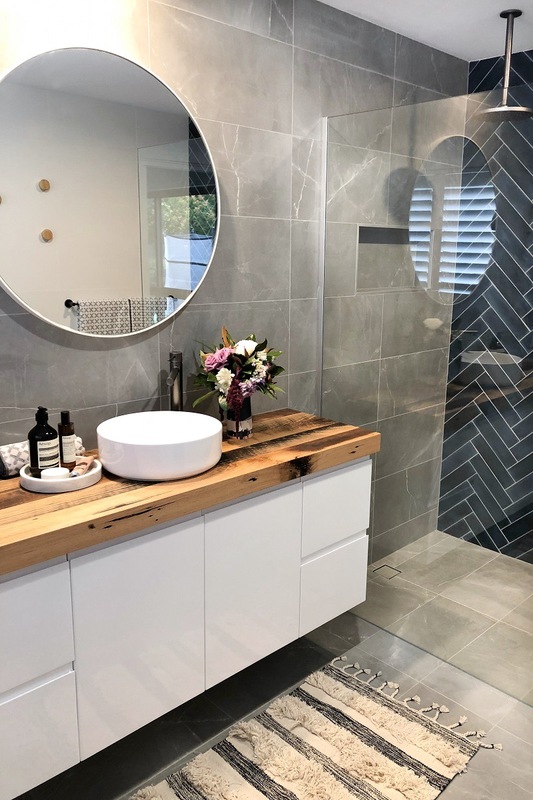 Maria says the feature tile was the starting point of designing this space and everything else was selected to tie in with this statement. 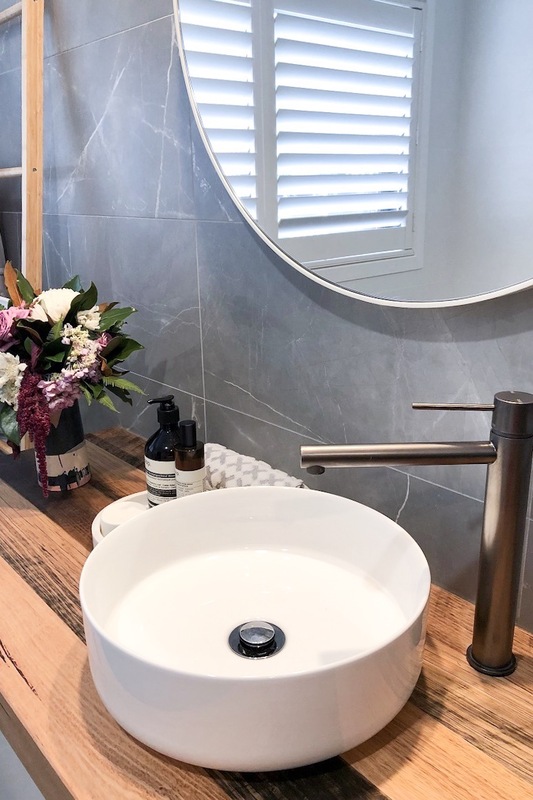 We love that reclaimed timber vanity top and the gun metal metallic finish tapware too. The round mirror also introduces curves to soften the angular lines in here. 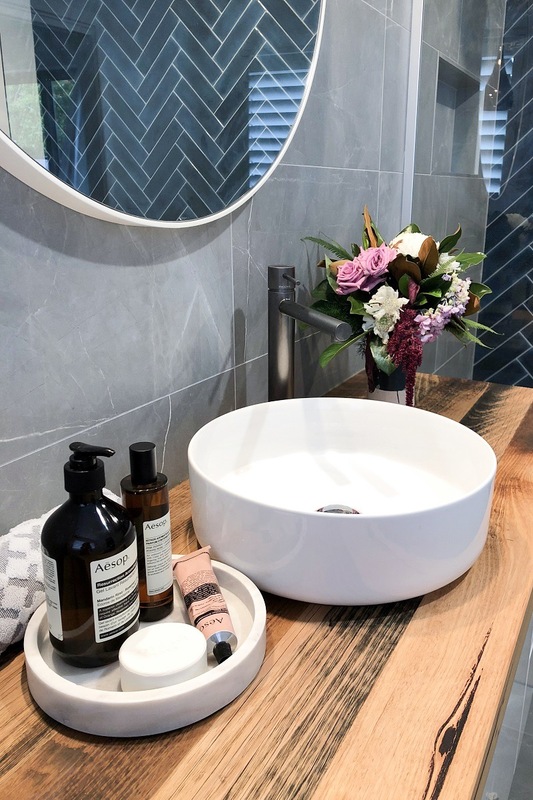 We hope this navy blue and charcoal bathroom inspires you and gives you ideas on how you can be more daring with your selections or incorporate colour in your home. Where is that basin from? ?